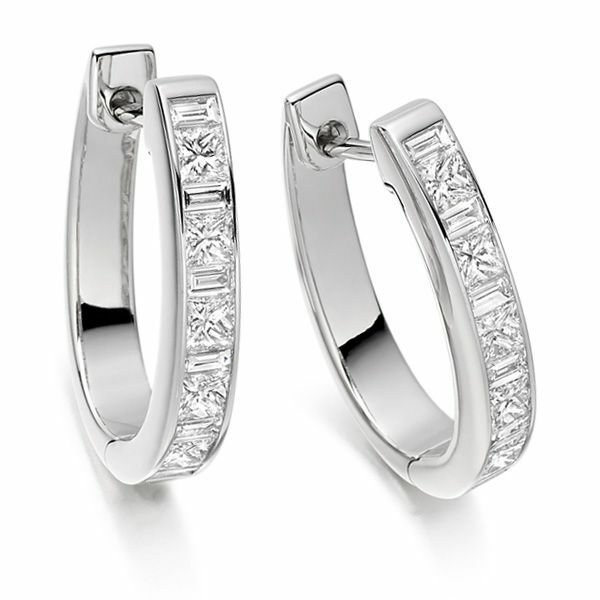 Channel Set Diamond Hoop earrings with an alternating pattern of Baguette and Princess Cut diamonds. 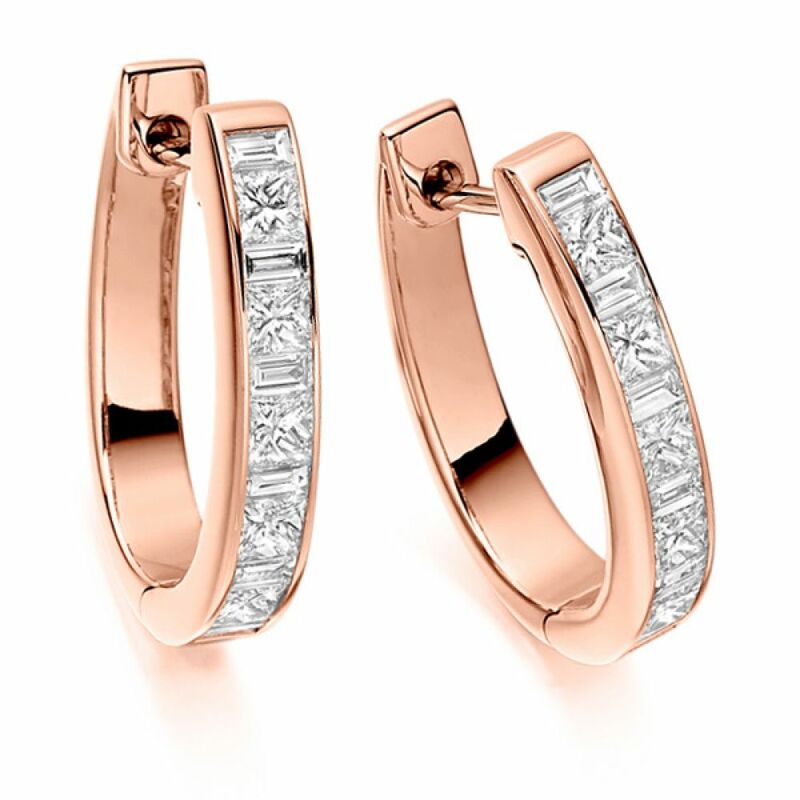 With a total Diamond weight of 1.10 carats, this incredible pair of Diamond hoop earrings contain a blend of both Princess cut and Baguette cut Diamonds. Princess and Baguette cut Diamond hoop earrings make a beautiful statement. Perfect for daily wear, or for a special occasion, each pair are crafted with perfectly cut and faceted Diamonds. For your reassurance, we work with F-G colour Diamonds achieving a VS clarity grade. 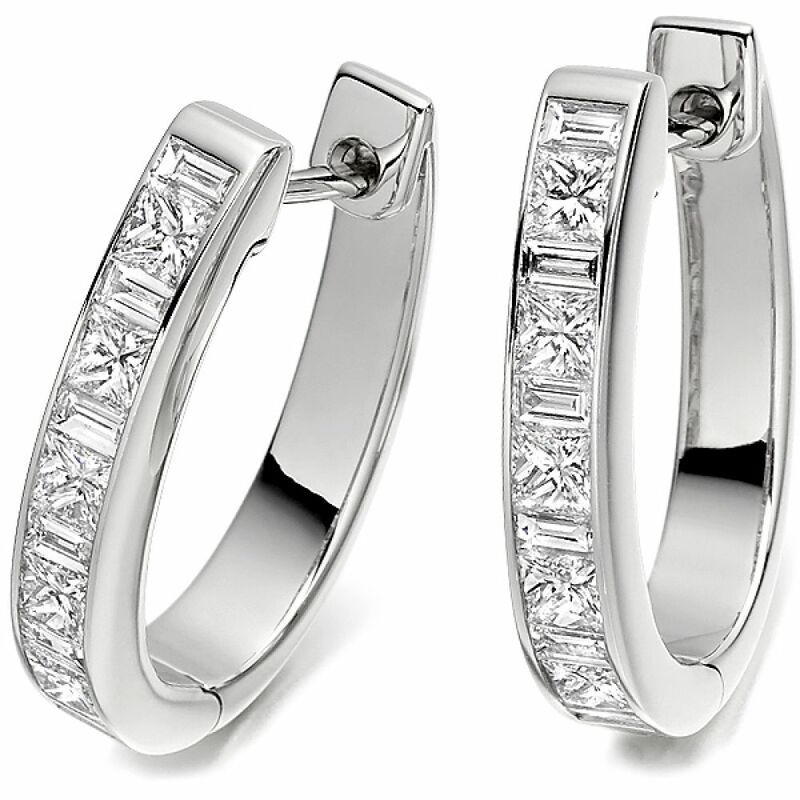 We craft each pair over 4 weeks, resulting in an incredible pair of perfect crafted hoop earrings. The hinged back locks perfectly into the ear, and we present each pair within a luxurious presentation box. Enjoy free insured delivery to many countries Worldwide from our UK showroom. Choose from a wide range of precious metals including 950 Platinum, 950 Palladium, 18ct White Gold, Yellow Gold and Rose Gold. Our expert team are on hand to offer any advice and guidance needed to find the perfect pair of diamond earrings made just for you.